As Easter approaches, kids start looking forward to hunts for plastic, jelly-bean filled eggs, colorful hard-boiled eggs, or, if the children get lucky, eggs filled with money. If you think your teenager is too old to enjoy these "kids'" hunts, think again. With a little bit of creativity, you can make an Easter egg hunt that teens will love and look forward to in years to come. Plastic eggs work well for a nighttime hunt -- teens might not enjoy stepping on a hard-boiled egg in the dark. You can stuff eggs with candy, coins or coupons for a favorite fast food restaurant. You can even leave some empty. After the eggs are hidden and it is dark outside, give each teen a flashlight or large glow stick and a basket and send them out into the night. A variation is to paint eggs with a glow-in-the-dark paint. Send your teens in search of buried treasure -- well, colored Easter eggs, but there will be a treasure at the end of the hunt. An Easter basket filled with some of your teens' favorite candy, CDs or other small items would be a good treasure. Make up a set of clues for each teenager. Each clue will lead to another one and the last clue will lead to the treasure. Have fun with the clues. You can write riddles, clues that rhyme, clues that tickle the funny bone -- get creative here. 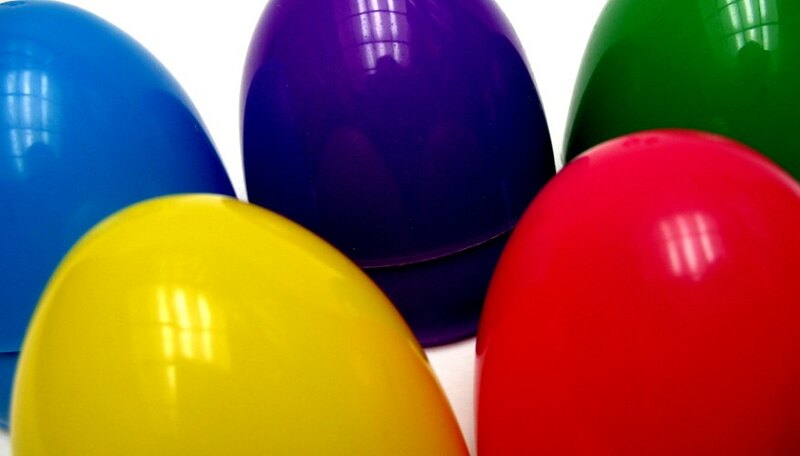 Write them on slips of paper and tuck them into plastic Easter eggs. Hide the treasure and eggs in advance. Give teens the egg with the first clue inside and send them on their way. Depending on where you live, it might be warm enough to have a pool hunt. In advance, fill a large bucket or two with plastic eggs. Leave some empty and fill some with coins. Hand each teen a plastic bag (ones you get from the grocery store would work well) and have them wait on the pool deck. Dump the eggs into the pool and let the teens swim to gather them up. Award prizes to those who get the most eggs. This is a variation on the Easter egg treasure hunt. Clues are placed in the eggs to lead you to the next egg, but there is also a clue in each egg to help the person guess the treasure or prize at the end of the hunt. For example, if you had movie tickets as the end prize, you could put one or two word clues inside the eggs, such as "Popcorn," "Sticky Floor" and "Previews."